Fluid Control Research Institute (FCRI) has been, established by Govt. of India with techno-economic inputs from the UNITED NATIONS DEVELOPMENT PROGRAMME (UNDP). The institute has grown into a full fledged quality assurance centre for the core sector industry and is on par with similar establishments in developed countries. 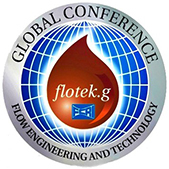 Please visit the succeeding contents page of our website to see a complete overview of what is available in FCRI to cater to the requirements of the process industries in fluid flow measurements and control techniques. Please ensure that you register your name and E-mail address in our Feedback column to enable us to reach you quickly.